Vibrating plate compactors of average weight for light job. 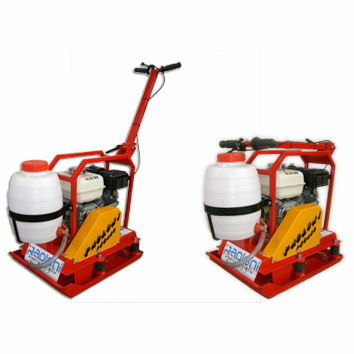 The B3 model is perfectly suitable to work on bricks (maximum 10 cm ground compaction). The reclining handle makes easier the displacement of the machine. The tank water contains the cooling liquid to constipate hot asphalt.